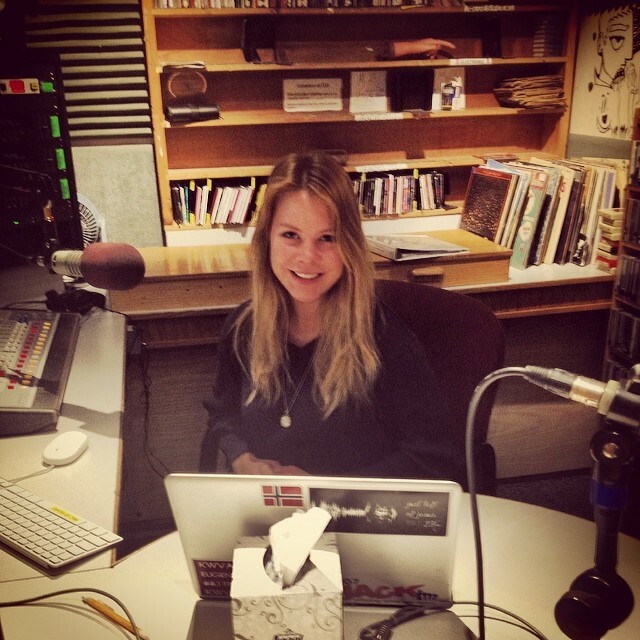 Check out this cool post by Music Blog Director/KWVA DJ Sophie on why college & local radio is so great, featured on her personal blog, A Perfect Playlist! I have a passion for radio. When I was a junior in high school, I visited my (now) college campus for the first time, University of Oregon, & was immediately drawn to the student-run radio station, KWVA. I loved the idea of a community of like-minded, music-obsessed students talking about/ playing what they love on the air. The station, at the time, a small hole-in-the-wall studio that was once a women’s bathroom, was covered in stickers and band posters. Promo CDs were scattered among stacks of cassette tapes and vinyl, and hipster-looking students rushed in and out of the studio, welcoming me with giant smiles. I knew I had to get involved. I’ve been a part of my college radio station for 2 years now, and I am now completing my last year. (That’s me in the studio!) Since my first visit, the studio has expanded and moved to a shiny new space in the student activities center, located at the heart of campus. While on my summer break from school, I didn’t stray far from the radio biz. I interned with the Portland Radio Project, a local radio station in Portland. I met so many cool DJs, learned about some crazy talented local artists, and made some great connections. According to Pitchfork, “college radio can reflect what local broadcasting should strive for: freeform programming that’s community organized and unentangled in market-based obligation. It is also a continually replenishing talent pool for the industry at large, and every part of the musical ecosystem can count former college radio DJs among their staff” (2017). 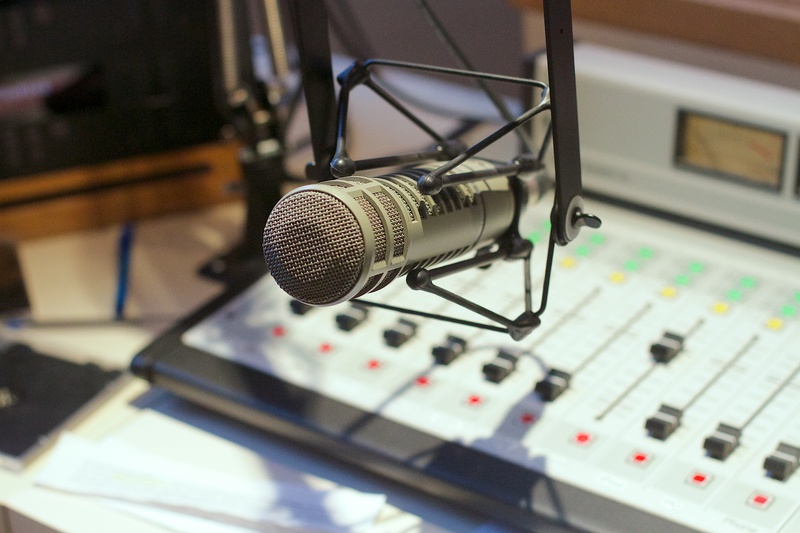 Both student-run and local, community radio provides music-lovers and radio enthusiasts the opportunity to think outside of the box. It’s an outlet for up-and-coming artists to receive recognition, listeners to be exposed to new genres, and a place for community members to share their music knowledge on the air without corporate involvement. This is how it should be when it comes to sharing the music we love! 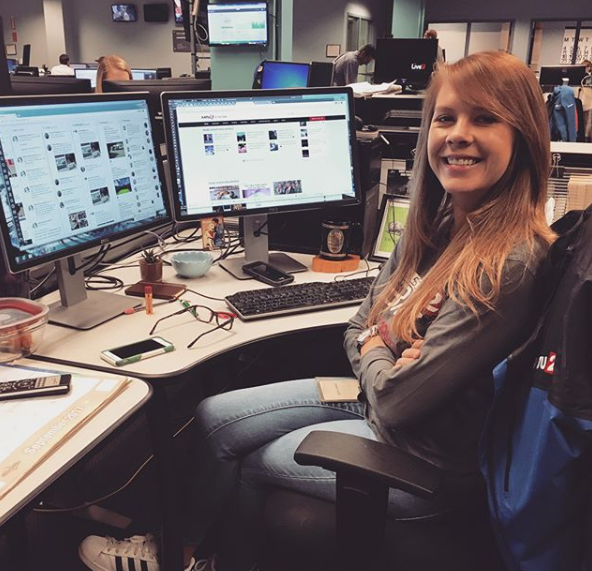 Kirsten believes that local radio stations like PRP and college radio like KWVA provides music fans with the most unique music and best radio-listening experience. “Without stations like these, I believe many talented local musicians would not have the platform to properly showcase their work. I feel lucky to be a part of a growing force in the local music community!” she says. College and local radio is pretty rad. Let’s help keep it alive!